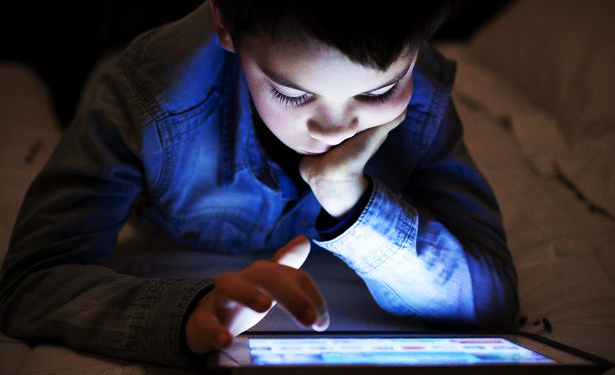 What harms children’s vision in digital era? With the increasing influx of electronic gadgets in the market, a lot of children are getting exposed to it and spend more time than ever. However, this has amplified parents concern about their vision getting impaired. 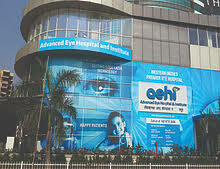 Eye doctors at Advanced Eye Hospital & Institute, Navi Mumbai have seen a huge increase in children with dry eye and eyestrain because of using gadgets for long hours. But the question is – does eyestrain from digital mediums cause permanent vision impairment? As a precaution, should my child use reading glasses or some glasses particularly when they use computer? This is a commonly asked question by the parents. Studies have been conducted which have shown that the most common eye problems of the world is Myopia and in some geographies as much as 70% to 90% of school and college students have this refractive error in their eyes..
American Academy of Ophthalmology has conducted a new study, according to which digital gadgets are just not the only causative factor responsible for nearsightedness (or myopia) but there is more to it. Doing near work activities for long hours including reading traditional (paper) books is one of the key factors. Luckily, the way to slow the progression of nearsightedness is very simple and easy – spending time doing outdoor activities – particularly in early childhood. Another common symptom is eyestrain. Moreover, it is not just children but adults too suffer from eyestrain, as most of them are computer users as well. Apart from eyestrain, the common symptoms include headache, dry eye, decrease in distance vision, eye watering, and blurry vision. While symptoms are typically momentary, they may be frequent and persistent. Blink your eyes more regularly. Eye specialists recommend taking a 20-second break from near work after every 20 minutes. Timer is great way to remind us to take break. After reading two chapters on either digital screen or a hardcover book, encourage your child to look out of window or engage them with some outdoor activity. Drink water or take washroom break after finishing a level on a video game. Insert bookmarks in the book that your child reads regularly with a small note of looking out of the window for 20 seconds. Set the brightness and contrast of your child’s personal computer especially during daytime. Avoid hunching or slouching while using digital products or reading. 18 to 24 inches is said to be ideal distance to maintain between your child and screen. Ensure that they blink frequently by reminding them.